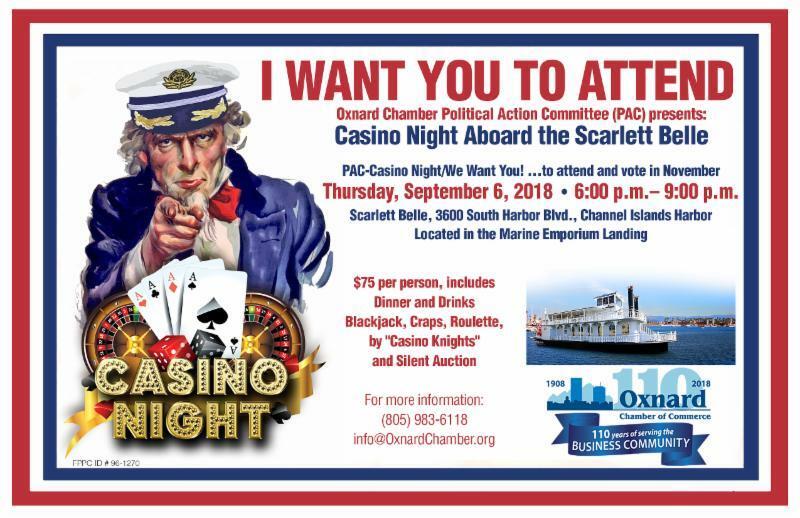 CAPITALIZE ON YOUR CHAMBER BENEFITS AT THE NEW MEMBER MINGLE NEXT WEEK! How is broadband internet access working for you? The City of Oxnard wants to know. 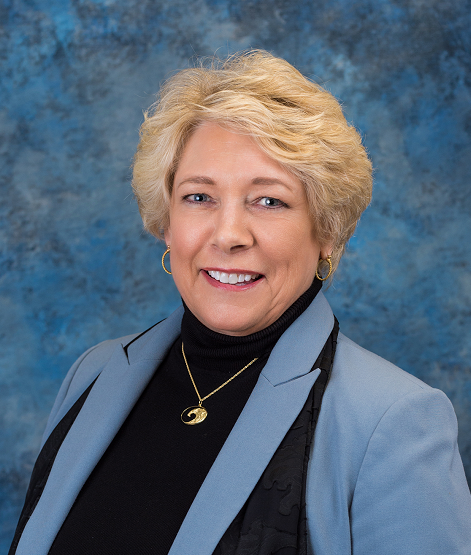 1.Oxnard Chamber CEO Nancy Lindholm traveled to Sacramento to participate as a faculty member for the Western Association of Chamber Executives Academy program. 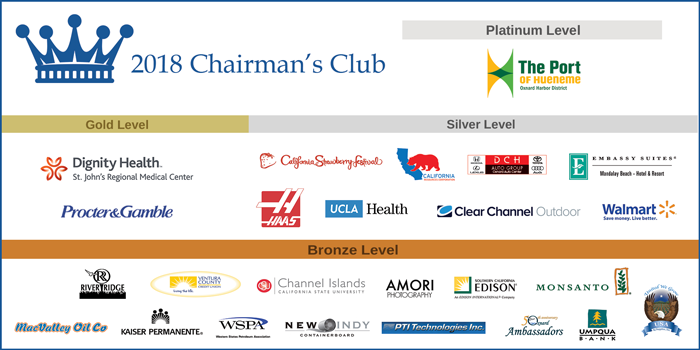 Academy is a three-day (three-year) high quality summer program on chamber management “essentials” geared for today’s chamber executives and professional staff. It has become the leading training program totally devoted to chamber professional in the West. 2.The Chamber’s young professionals group, OXYP, met to iron out plans for their quarterly mixer. 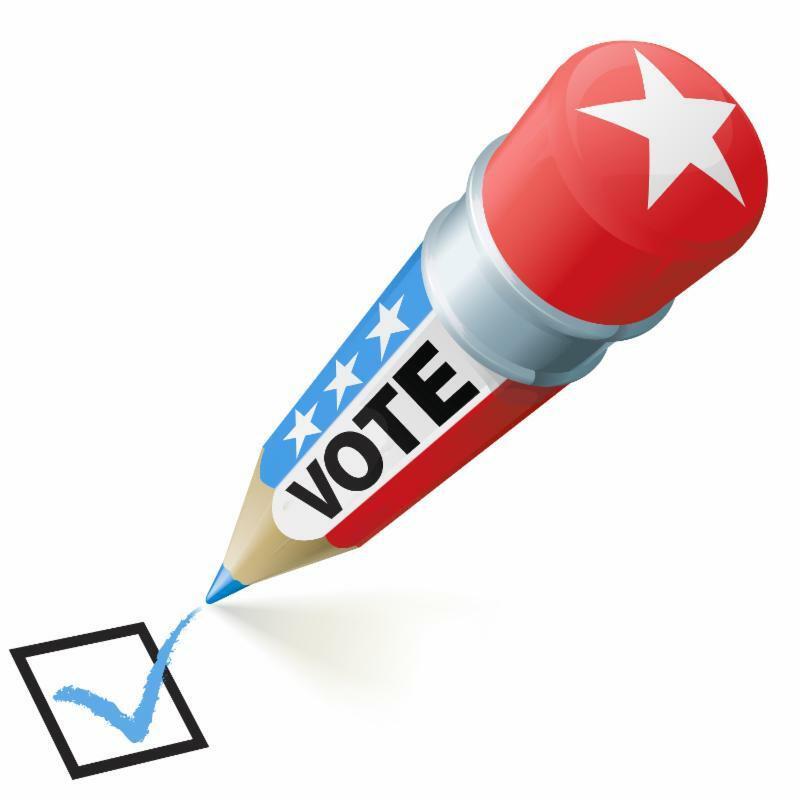 It will be on September 11 at the Ventura County Credit Union located at The Collection. 3.The Chamber’s Military Appreciation Committee met to work on two upcoming events. 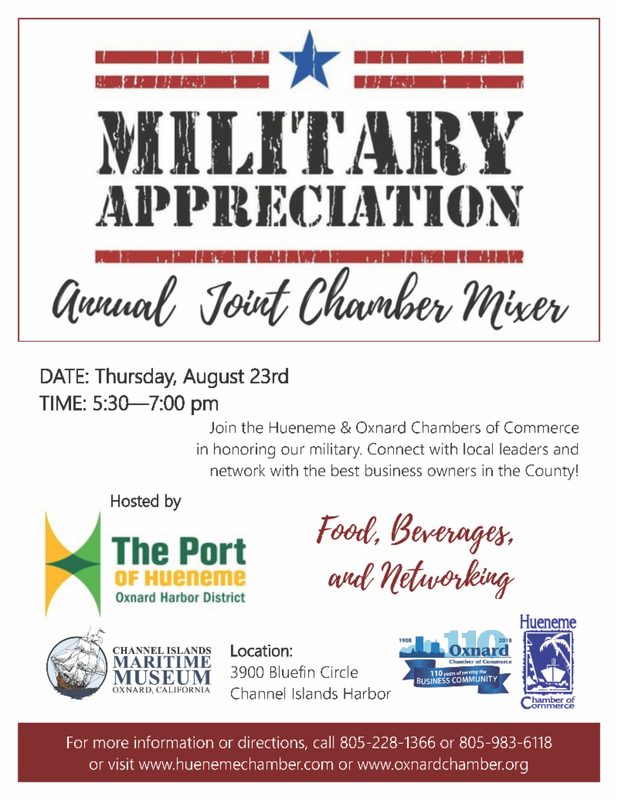 First, the annual military-themed after hours mixer is coming up on August 23 at the Channel Islands Maritime Museum. 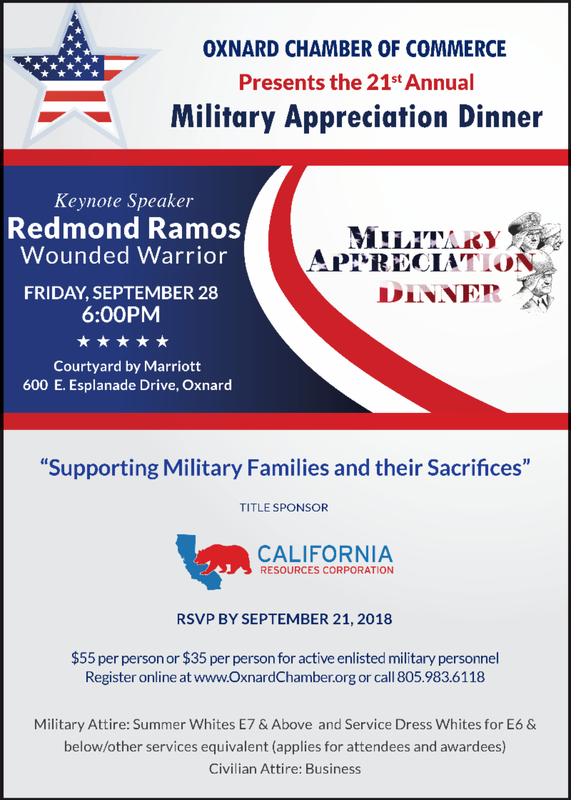 Second, the annual Military Appreciation Dinner will be September 28 where the keynote speaker will be Wounded Warrior Redmond Ramos. 4.CEO Lindholm had a meeting with Ventura County Superintendent of Schools, Stan Mantooth , to discuss partnering on an education forum designed to engage the business community. Details to follow! 5.Opened discussions with the city of Oxnard purchasing department on co-hosting a workshop on “How to do Business with the City.” Interested? Click here and let us know! A recent California Supreme Court ruling , however, has called into question the ability of these independent contractors to continue to work for themselves in their chosen professions. 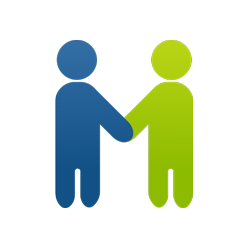 The practical consideration is whether a business and its associated workers have an employee-to-employer relationship or not. 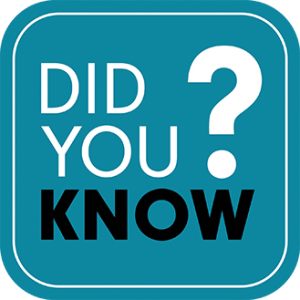 In such a relationship, the state regulates working conditions; independent contractors determine for themselves when and how they perform their jobs.